Electro-Chemical Machining (ECM) is the generic term for a variety of electro-chemical processes. 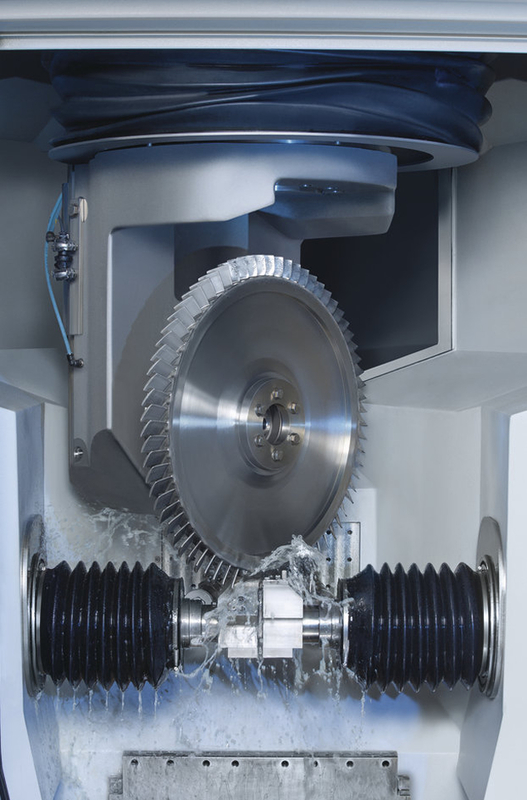 ECM is used to machine workpieces through the anodic dissoultion of metal. The process is used in aerospace engineering and the automotive, construction, medical equipment, microsystem and power supply industries. Almost all kinds of metal can be electro-chemically machined, especially high-alloyed nickel- or titanium-based ones, as well as hardened materials. As it is a contactless procedure with no heat input, the process is not subject to any of the disadvantages experienced with traditional machining methods, e.g. tool wear, mechanical stresses, micro-fissures caused by heat transfer or the need for subsequent deburring operations. All electro-chemical machining processes are characterized by stress-free stock removal, gentle transitions and top-quality surfaces without burr formation. Electro-chemical machining is based on the principle of electrolysis. The tool, i.e. the cathode, is connected to a direct voltage source with the workpiece acting as the anode. 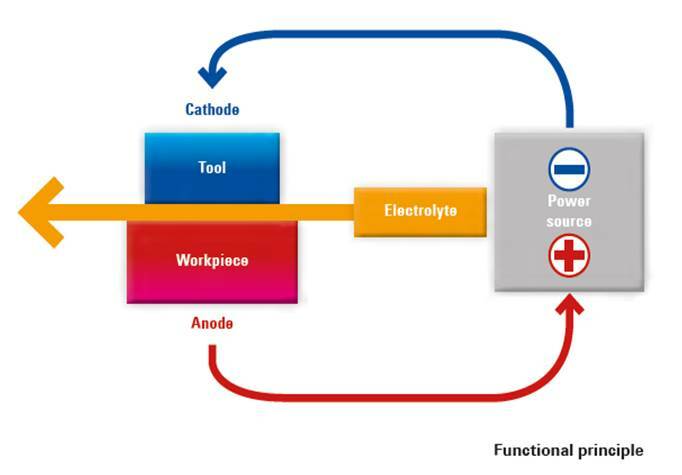 A charge exchange takes place between the cathode and the anode in an aqueous electrolyte solution which targets specific areas of the workpiece. This can be used to create contours, ring ducts, grooves or bell hollows with no contact but very high precision. The removed material is precipitated from the electrolyte solution in the form of metal hydroxide. The machining can be carried out regardless of the structural condition of the metal and both soft and hard materials, including exotic metals, can be machined. The components are subjected to neither thermal nor mechanical stresses.